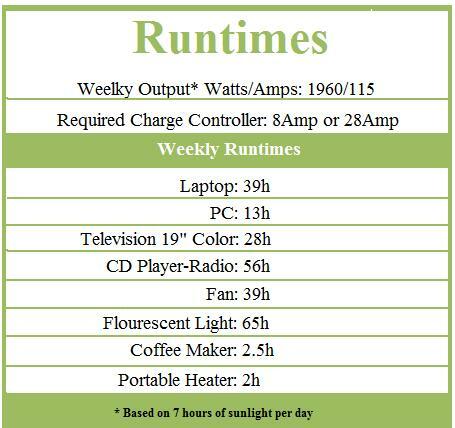 Take advantage of a free and natural energy source to power your electronics and 12-volt batteries without AC outlets with this 40-Watt folding solar panel. With its rugged monocrystalline solar panels at it’s conveniently folding design allows this solar panel to be a fraction of the size of a traditional solar panel, allowing you to carry this solar panel anywhere. The convenient storage pouch allows you to store your wire, adapters and charge controller. Great for camping, hiking, boating or any other outdoor activities to directly charge you laptop or notebooks while on the go. 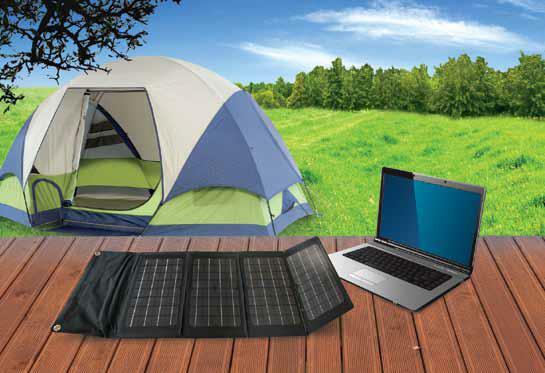 This 40-watt folding solar panel is equipped with o-rings in the corner of the solar panel to allow you to clip it anywhere for direct charging. The included 10 laptop adapter plugs will work with most laptops and notebooks. Charge your 12-volt batteries with the included battery clamps. 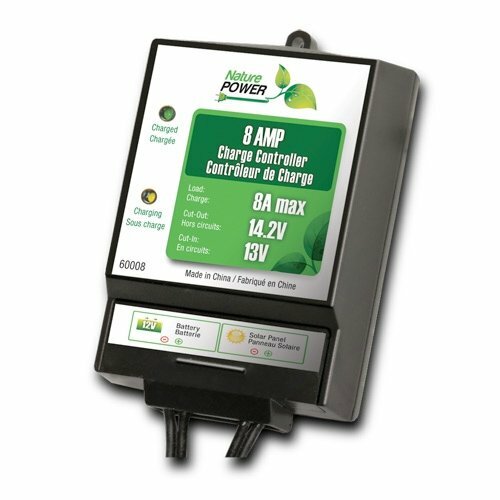 To protect your batteries and electronics from overcharging the 8 Amp charge controller is included. 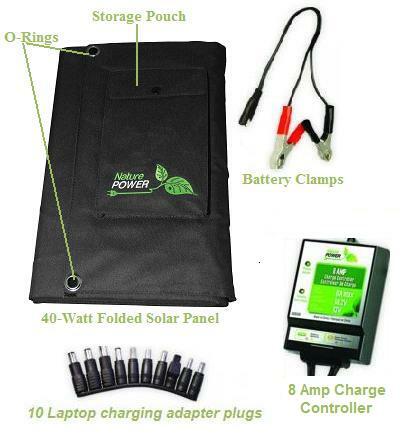 Included: 40-Watt Solar Panel, 8 AMP Charge Controller, 12’ wiring, Velcro strap, 10-Laptop adapters, Battery Clamp, O-ring hangers, Large storage pouch and instructions.